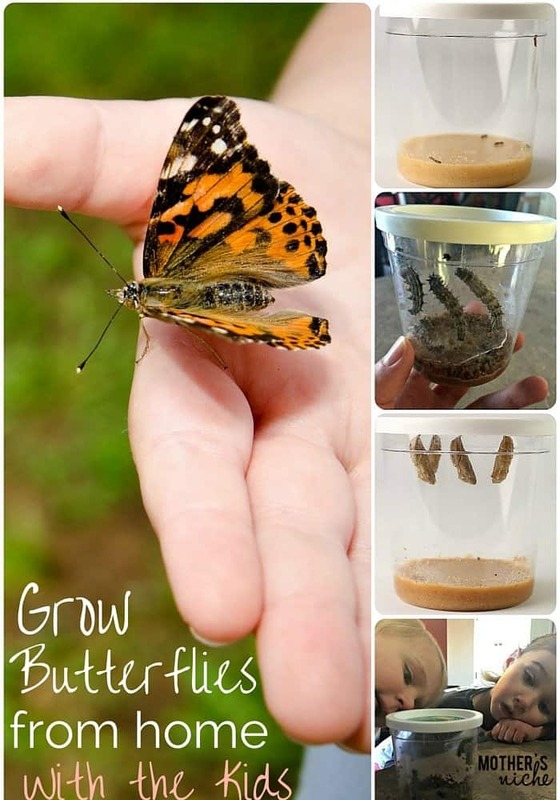 Kids Butterfly Garden: Watch Caterpillars Grow to Butterflies From Home! April 2, 2016 By Tina M 1 Comment This post may contain affiliate links. Read my disclosure policy here. I’ve tried out several subscription boxes for kids in the past, and they are really fun; however, I always felt like I wasn’t quite getting what I wanted for my money. 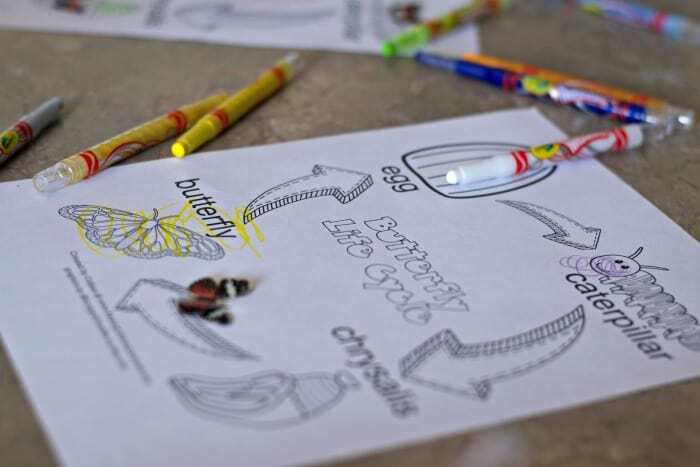 The idea is really fun: You pay a monthly fee and a box arrives in the mail with activities for your kids to do! After chatting with one of my friends over Christmas, we decided to start coming up with our own ideas for subscription boxes and ordering them ourselves on Amazon! That way, we get what we want for the money, our kids still get packages by mail, and usually we end up with leftover supplies! 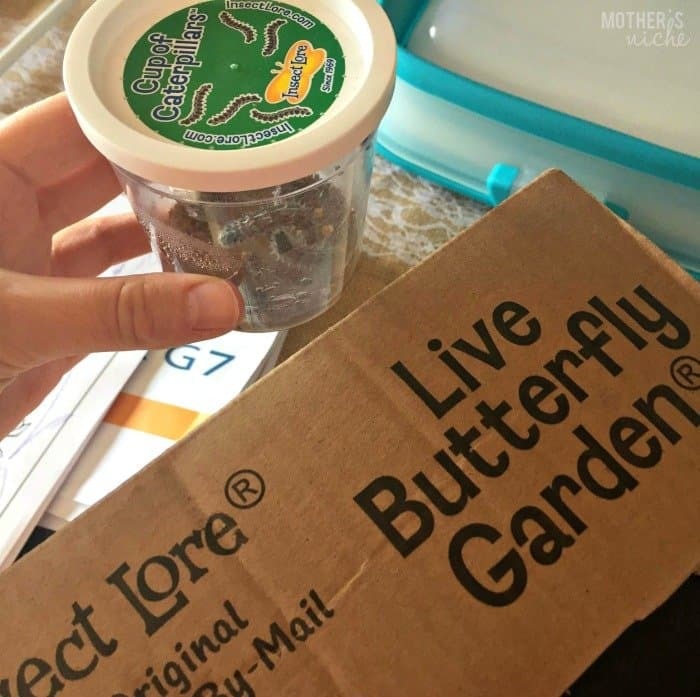 This last month I decided to order a kids butterfly garden as our subscription box. WE LOVED IT. 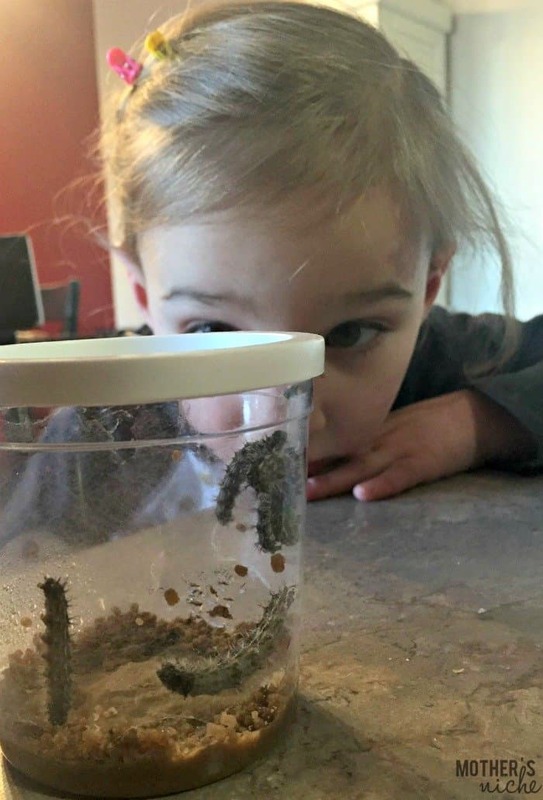 The girls woke up each morning wanting to look at their caterpillars and how much they grew! It really was remarkable how quickly they grew from teeny tiny little caterpillars, to big ‘ol things that barely fit in the cup anymore! I’ve always known of course that caterpillars turn into butterflies, but watching the process was super fascinating to me! I wish I would have taken a picture of all 5 of the caterpillars hanging upside down right before they entered the Chrysalis stage. It was so cool! 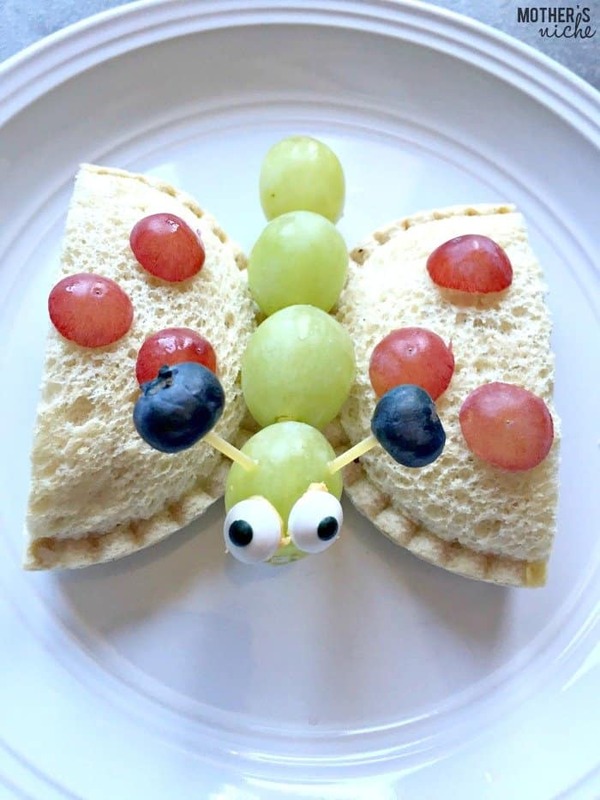 I briefly taught my girls the life stage of a butterfly with these cute printables that I got here, and we did several butterfly activities throughout the week, including making these kids butterfly sandwiches using Smuckers Uncrustables. 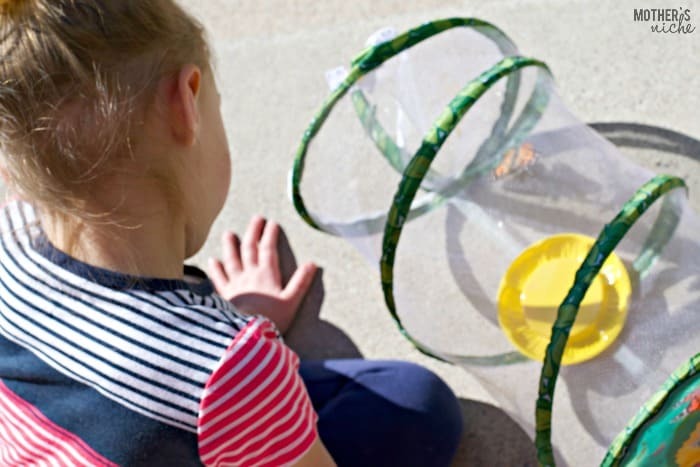 What I loved about the kids butterfly garden kit is that it entertained us for over a week and every single stage was super fun and educational. One of the first butterflies emerged while our family was eating breakfast one morning, it was truly fascinating for all of us! Once again, I should have taken a picture of it! We were too “in the moment” to think about it. I had no idea he would be so disappointed to be left out on the fun, so now we are ordering another kit! What would be another fun idea for a DIY subscription box? We’ll let you know what we do this next month! What exact kit did you use? All the link you posted take you to amazon and all their products.